Summary (from Goodreads): Packaged as an oversize, jacketed hardcover “flip book,” this edition features nearly 400 pages of new content as well as exquisite new back cover art. Readers will relish experiencing the deeply romantic and extraordinarily suspenseful love story of Bella and Edward through fresh eyes. Beau is new to the dreary little town of Forks. He's resigned himself to a boring eighteen months with his father before he goes off to college so that his mom can spend some time with her new husband. But Forks is not as simple as it seems to be. Hidden under the moss and the ivy are secrets that go back generations. As he struggles to figure out what is going on in his new home, Beau can't help but fall for the mysterious Edythe Cullen - the person on whom all mysteries seem to converge. I'm not going to lie, the moment I found out about Life and Death, I grabbed my keys and headed to the bookstore. Hey, no shame here: I was a die-hard Twilight fan for years. Remember the days before you could find multiple editions in every bookstore? Way back when I first found out about it, the only way for me to get my hands on a copy of Twilight was ordering it online from the publisher. Like most fans, it broke my heart that Stephenie never published Midnight Sun. I so badly wanted that glimpse into Edward's head, and I wanted to see the sides of the Cullens that Bella never got to see. Life and Death isn't Midnight Sun, but it's a consolation of sorts, and I'll take it. And, if I'm being honest... well, I kind of liked it more than I liked the original. No, you didn't read that wrong. 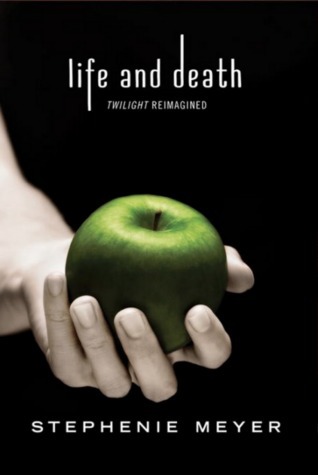 Life and Death was more enjoyable to me than Twilight. I think it was the fact that the story ended the way I thought it should've all those years ago, without being drawn out and complicated. In short, Life and Death was the simple paranormal romance that Twilight started off as. I loved the genderflip. It changed the story a bit, but most things were the same. And this version was definitely more humourous - did anyone else laugh out loud at the "antiquated gender roles" line? - than the original. I loved the way the end deviated from the original story, and I think any fans of the original series will definitely see the appeal. I wasn’t a huge fan of the original Twilight, but I might read this one. The changes sound interesting.